Our kids are our future. This is theme of the Fiji Secondary School Chefs Competition which started today at the Outrigger Beach Resort, Sigatoka. 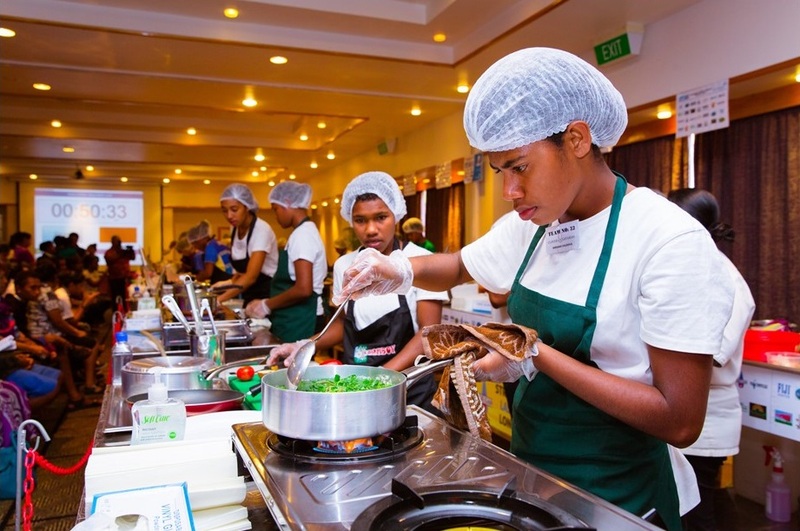 The Fiji Chef’s Association in conjunction with the Outrigger Beach Resort, is hosting and coordinating the Annual Fiji Secondary Schools Chef’s Competition. The event is organized by the Head Chef of the Outrigger Beach Resort, Shailesh Naidu and first started 6 years ago with only 1 school participating. This year a total of 16 schools from Nadroga/ Navosa Province and a few schools from Nadi, Lautoka and Ba are competing at the two day event. Shailesh Naidu Head Chef Outrigger said, “We have over 160 students with parents, school officials and support team. There will also be hotel guests, industrial invitees and patrons from around the community supporting the event as well. Fiji Gas is a sponsor of the competition and has been so for 4 years running. We proudly provide the cooking equipment and LPG for the competitions. The competition was held on 14-15 July.